Pie's dance studio/my living room. It was gone. 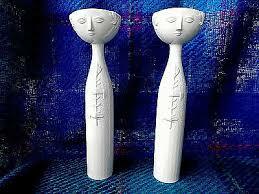 I went to an estate sale where the Bjorn Wiinblad head vase I had so long coveted was being sold. I got there early, but not first, and a man had bought up most of the "good stuff", including my vase. 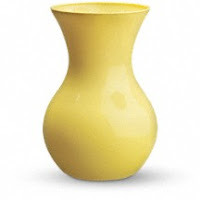 My hate fire was strong, but I had already bought one of those ubiquitous FTD flower vases that were produced in the billions in the 80s and 90s. It was upside down when I saw it, and realized that it was the perfect shape for a head! 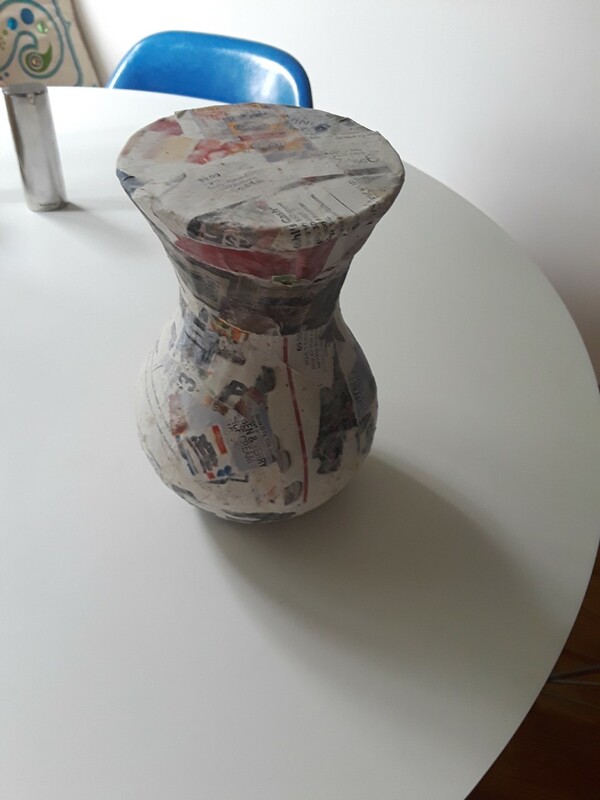 So, here we go, it's my version of the vase! 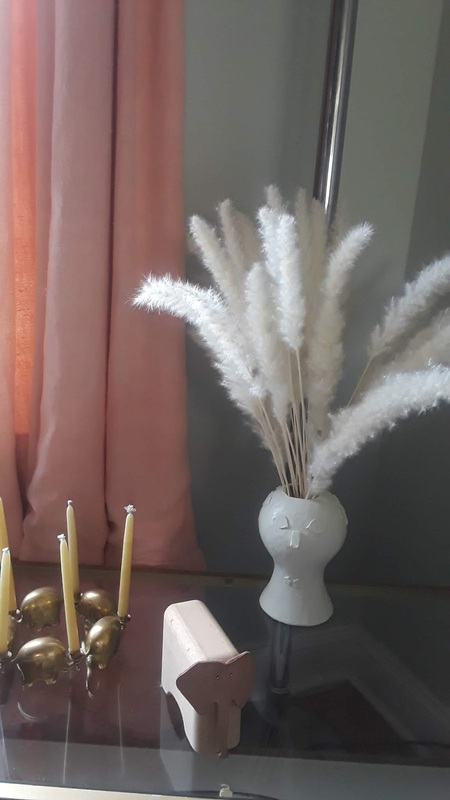 Since I needed to cut a hole in the bottom, this vase wouldn't be able to hold water, but I wanted to use Pampas grass since seeing it on my 50th birthday celebration in Block Island, so it wasn't a problem. If you want to put cut flowers, you'll need to line this with a real base, because mine is made of paper. 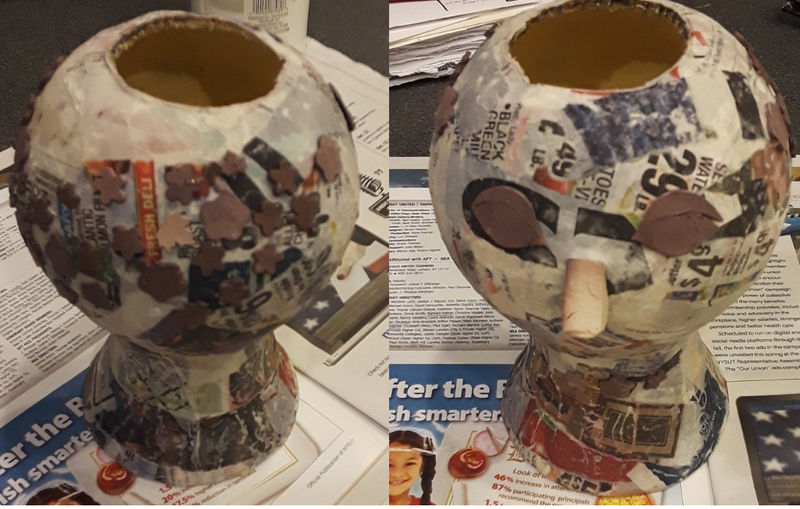 So, I started with a base of papier mache, and then did a second coat. I usually do more with my pinatas, but the poor kids need a drill saw to open them, so I didn't go crazy. In retrospect, I should have sanded MORE at this stage, but I didn't, and I ended up doing more work later. So, sand it well now. 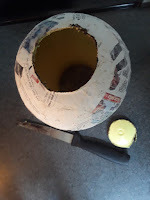 Then I cut a hole for the top of the vase. I had to cut through the plastic, since this was the bottom of the actual vase. I have a knife specifically for cutting through plastic, doesn't everyone! It gets burnt plastic gunk on it, so don't use a good knife! Norwegiany is a word, yes? 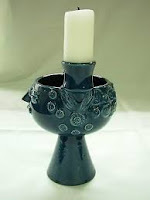 Then I got to the polymer clay. I burned the clay, but I love how it looked like terracotta! Unfortunately, I needed to cover this with white, so it wasn't a great thing for this project. 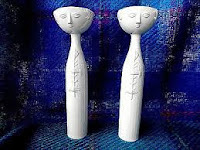 I sculpted a nose and eyes, and, per some of the inspiration vases, flowers to make it look all Norwegian and crafty! 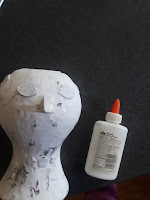 I hot glued these onto the papier mache, and then got to the gesso. This step would not have been necessary had I just sanded, but I wanted to use my gesso. I coated and sanded and coated and sanded and coated and sanded. It got old. But, I persevered, and although I was sick and tired of the whole project at this stage (novelty worn off, full on grind mode), I stuck with it because surely each coat HAD to be the last. I lost count, I needed to. Finally, it was ready for the spray. 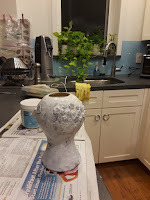 I would make sure that it really is ready, though, because, although sanding spray paint is not a problem, reapplying spray paint to previously sprayed things yields a lovely craquelure finish, which is inappropriate on mid-century modern pottery! At this point it almost hit the trash, and if my attempt to save the project hadn't worked, it just might have. 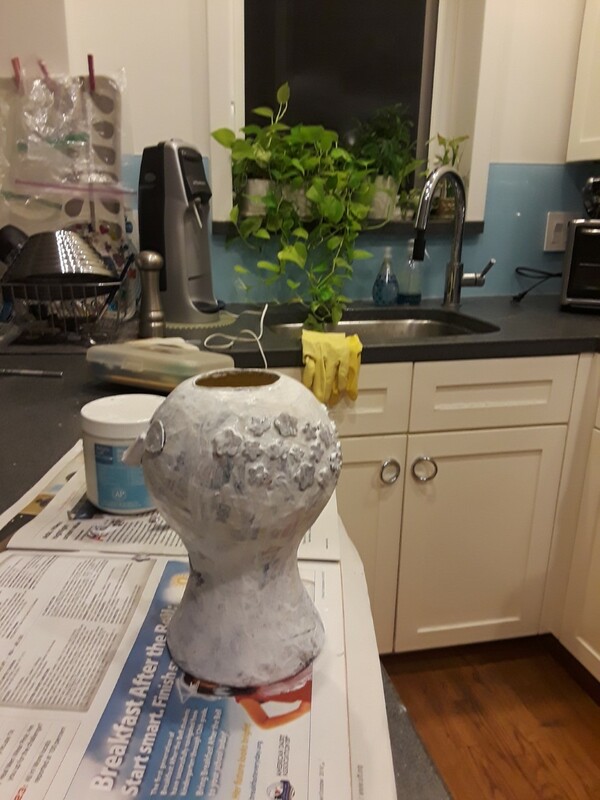 I had to cover it with school glue to kind of bind the edges of the paint to prevent whatever solvents were seeping under the finish and going rogue. The glossy finish took, finally, and I sprayed it with gloss, and I love it.